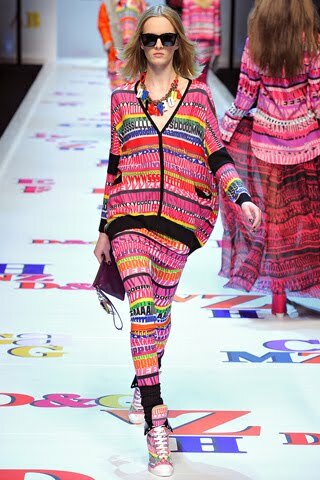 When I first saw the Fall 2011 RTW collection from D&G, it was, well, love at first bright. As you may have noticed by now, I am a sucker for bright colors, bold patterns, and great textures. This collection has all 3.
looks. The one closest to the left is my favorite of the two because I like the slimmer cut of the top as oppose to the looser fit like in the look on the right. The final look features a pattern that is pretty steady throughout the entire collection. I like this look but don't think I would ever wear it. with a fantastic necklace. The next dress is the same pattern in the above outfit on the far right. The final look in this row is also one of my favorites from this collection. The way they used the same color family with black in between. Just when it has seemed that spring will never come, the Fall 2011 collections are already bursting at the seams and covering the runways. So which designers have something worth checking out? Just check out the looks below to see for yourself. the far left even have depictions of things such as koi fish and bamboo. and red. Each look was topped of with a beret-like hat, in either or a black and white cow-like pattern. Velour dresses in varying hues including blue, red, orange (all seen left), green, black, and purple. Velour tops complimented high-waisted pants while non-velour tops covered pairs of black tights. Louis Vuitton has always been known for their monogram bags and luggage, but for the Spring 2011 RTW collection, they've gone bold. In color that is. With bold shades of orange, magenta, maroon, and yellow, the bags do anything but blend in. They coordinate perfectly (as bags should in a collection!) with the clothes, but these are some of my favorite clothes & bag matches I've ever seen in a collection. 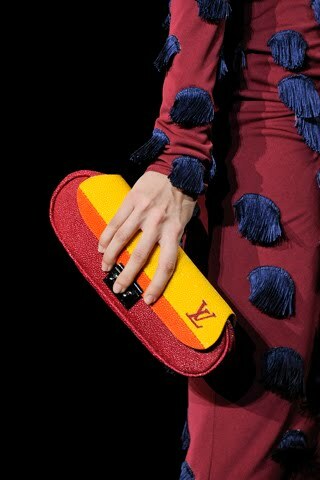 All images above are from www.style.com and are from Louis Vuitton's Spring 2011 RTW collection. These bags are not yet availible on louisvuitton.com, therefore the prices for the bags above are not listed in this post. One of fashion's classic staples is high heels. But this season, they're on the chopping block. Literally. The heels have been chopped off and replaced with flats! From Marc Jacobs to Hermes, models have traded in their show-stopping stilettos for practical flats. It's one of the easiest new trends to adapt to! Lanvin, Marc Jacobs, Missoni, Hermes, Maloles, Christian Louboutin, Oscar de la Renta, Derek Lam, Balenciaga, Chanel, & Chloe. All looks from Spring 2011 RTW collections. 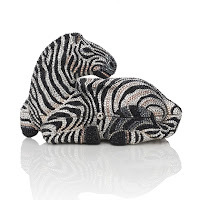 Yes, it does seem that every season animal print comes into play in at least one collection. Spring 2011 example: Blumarine. 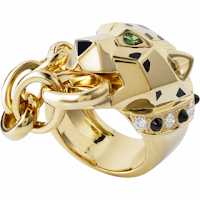 Cheetah print is all over on this collection, and I love using wild animals as inspiration to spice up your outfit. Left & right: Cheetah print covered the looks at Blumarine's Spring 2011 show with brights serving as a backdrop. However, you don't need to go all out for that wild statement. One of fashion's classics is animal jewelry. 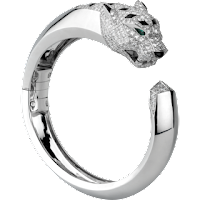 You know what I'm talking about: Cartier. 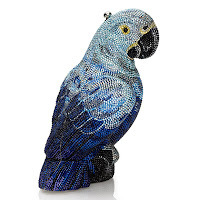 Their iconic animal jewelry has been topping off outifts for decades. 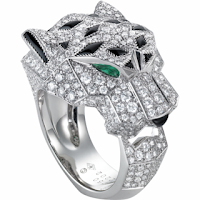 From rings to bracelets, the diamond covered statement pieces are more like pieces of art than pieces of jewelry. But savers be warned: these pretty pieces are worth a very pretty penny. But of course, with such beautiful jewelry, why stop at rings? 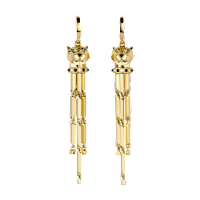 The gorgeous Panthere jewelry doesn't end there. There are also bracelets, earrings, & necklaces! 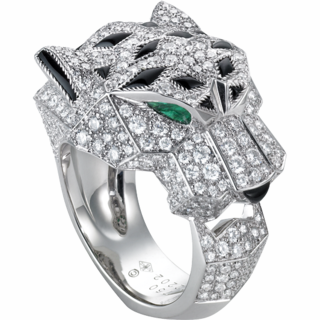 Below, from left: Panthere bracelet in 18k white gold, diamonds, onyx nose & spots, emerald eyes, price upon request, cartier.com. 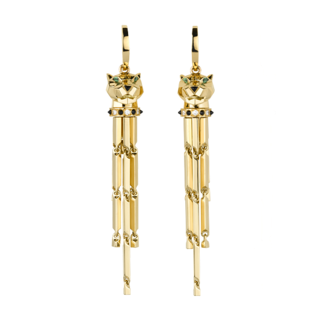 Panthere earrings in 18k gold with tsavorite-garnet eyes, onyx nose, & black lacquer spots, $31,900, cartier.com. So you may think that it all ends there. With jewelry. However it is just the beginning. 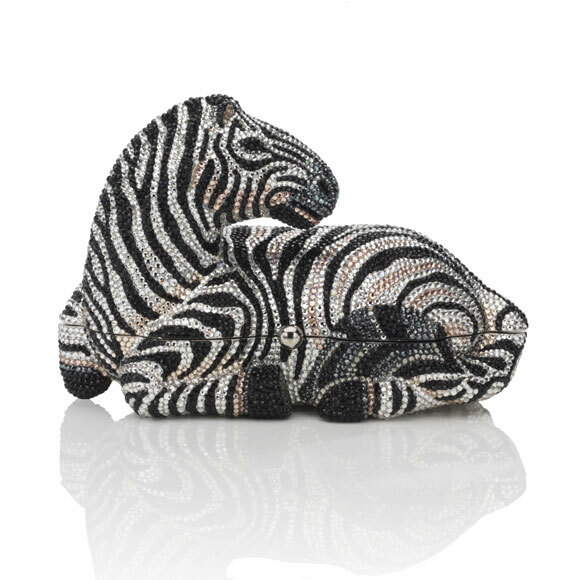 May I introduce you (or for the true fashionista, may I reacquaint you) to Judith Leiber bags. They are beautiful, stunning, and covered in crystals. When you're looking for that statement bag, Judith Leiber is who to go to. 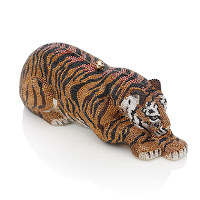 From dolphins & peacocks to turtles & cats, the novelty bags availible at judithleiber.com. As mentioned before in Jailhouse Rock, brights are in for the season! To express this idea even further, I added a few runway examples from the Spring's runways. If you don't feel daring enough to step out in bright pants, an "electric" blouse, and a "highlighter" blazer, try starting small, where every trend starts, accesories! Try Forever21 for stylish bright jewelry if you don't want to invest in something you might not wear! Once you pass the accesories "phase" move to shirts! Try PacSun (pacsun.com), they often have assorted pieces in brighter, "highlighter" hues.